I would like to thank all those that have been reaching out sending your love and support towards Lilly and my family. With Lilly’s terrible accident, then the sudden and unexpected loss of my dear Penny, I feel as if i’ve been through a roller coaster of emotions over the past few months. From your simple gestures, to your very thoughtful cards to the financial support I could never have made it through this without all of you. I would like to extend a special thanks to several individuals and organizations that have made sacrifices in both their professional as well as personal lives to assist me and my endeavor in advocating on behalf of pit bulls so that this beautiful breed of dogs get the credit they so rightfully deserve. Lindsay Dancy of Jamaica Plain has invested herself in support of Lilly and my family. She is truly a genuine and kind hearted person that thrives on helping others. She spends much of her time volunteering at the MSPCA Boston photographing the shelter pets then uploading them to pet finder in hopes of giving them a better chance of adoption. She is also the owner of LDancyDesign© where her amazing professional skills in web design, photography and graphic arts has enabled us to capture Lilly and better share her story with all of you. She is the creator of this website, person behind all the great photos of Lilly and designer of our soon to be released pro-pit bull goods including Lilly t-shirts and stickers. 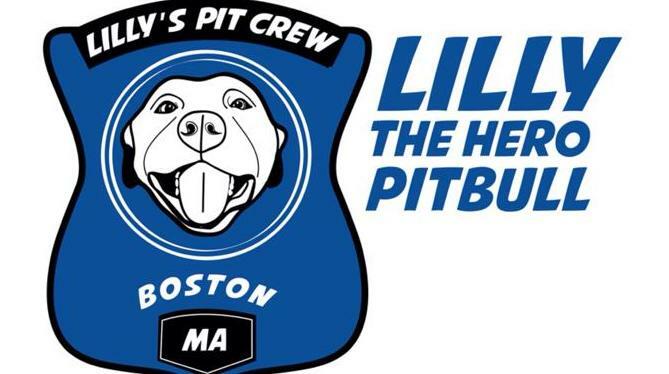 The money raised in sale of these goods is very important as it will go towards financially supporting Lilly’s fund which will better enable us to advocate on behalf of pit bulls. Brenda Willis of South Jordan, Utah has been our behind the scene go to person with all the business side of things including completing and filing all the necessary paperwork to set up our non-profit status. She is supplying us with the goods and materials better allowing us to advocate. Brenda has a special place in her heart for pit bulls as her first love was Kron, a red nose who looked very much like Lilly. The government of Utah has very strict Breed Specific Language laws and once attempted to take Kron away from her. Unlike many unfortunate people, including myself who don’t have the resources to stand against this discriminatory state action Brenda actively fought back and was able to keep Kron before he unexpectedly passed due to an illness. Lilly’s story as well as her close resemblance to Kron has had a emotional impact on Brenda that has inspired her to help us stand up for Pit Bulls with the ultimate goal to end breed specific language. Angell Animal Medical Center and all their amazing professional staff, from highly skilled doctors to their kind hearted volunteers, have me completely humbled. During my time at Angell, which was the most difficult time in my life both emotionally and physically, a certain person was always at my side offering support. His name is Rob Halpin, the Public Relations Officer of Angell. If any of you have ever had the opportunity to meet him you know exactly why I say this. Rob is truly an amazing person with unbelievable talents who’s committed in helping all animals. Rob is, in my eyes, a true hero for his tireless work supporting, helping and speaking up for all animals. It’s because of you that Lilly is still with us today. My family and I are eternally grateful and as a way to express our gratitude we are excited to share her continued successes in life with you all. Thank you all so very much.